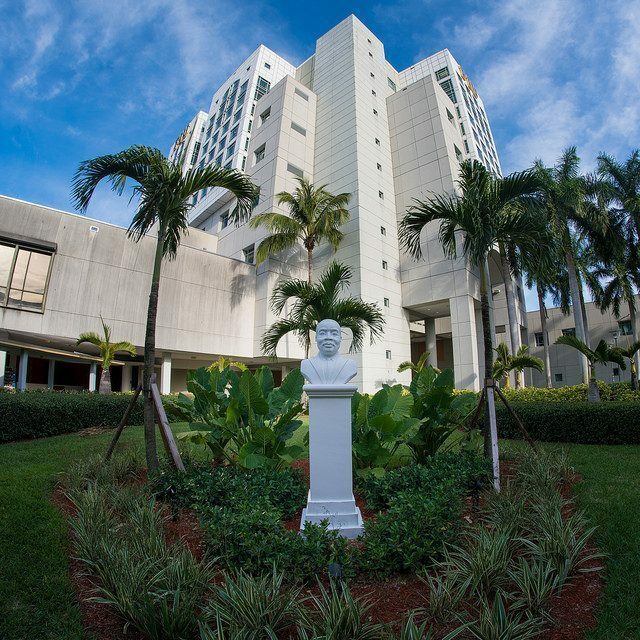 FIU’s Department of Multicultural Programs and Services is currently accepting entries and nominations for the 2019 MLK Essay Scholarship, MLK Peace Award and the MLK Service Award. Don’t miss these great opportunities! Deadlines are quickly approaching. The first-place recipient will receive $2,000 toward FIU tuition during the 2019 academic school year and a book award for $500. Second place will receive $1,000 toward FIU tuition, and a book award for $500, and third place will receive $500 toward FIU tuition and a book award for $500. Applications are due on Oct. 23. Apply today. The MLK Peace Award is open to all FIU students with a minimum GPA of 2.5. Students must represent the ideals of Dr. Martin Luther King Jr. and be involved in extracurricular activities that promote social justice. The MLK Peace Award winner will receive an MLK Medallion and $250. Nominations are due on Nov. 2 and can be submitted here. Open to all FIU faculty and staff, the MLK Service Award honors individuals who show considerable community service and provide exemplary service. The winner will receive $250 and an MLK Medallion. Self-nominations are accepted for the MLK Peace Award and MLK Service Award. For additional information, visit Multicultural Programs and Services or contact Bianca Bovo, coordinator of Multicultural Programs and Services at bbovo@fiu.edu or (305)348-2436.